Ofsted’s 2017 review of the Reception year curriculum asserts that reading is the core purpose of the Reception year, and advocates “systematic systematic phonics” as the teaching method. This precept disregards research into the nature of reading in the early years and the professional wisdom of early years teachers. This paper is published in FORUM Vol 60 Issue 3 (November 2018). Ofsted (2011) claim that synthetic phonics can enable “the one in six children who were once destined to struggle reading essential text [to] fully participate in their studies and the world of literature” (DfE 2011). If this were indeed the case, Ofsted’s (2017) strong emphasis on SSP in the reception year might be justified. However, this simple view fails to understand the nature of reading and the way children learn in the reception class of a primary school. This paper will examine these issues by reference to recent research, including a large-scale survey of early years practitioners conducted by the National Association for the Teaching of English (Hodgson et al 2013). In recent years, government in the UK and several other English-speaking countries has promoted the teaching of “synthetic phonics” as the key to success in training young readers. In this approach (sometimes known also as “systematic phonics”), the pupil is supposed to learn the correspondences between sounds (phonemes) and letters: for example, pronouncing each phoneme in shop /sh/-/o/-/p/ and then blending those phonemes to produce the word (DfE 2011). The 2006 Independent Review of the Teaching of Early Reading recommended that synthetic phonics should be taught “discretely” and as the “prime approach” (Rose 2006). As this paper will show, this policy has met detailed and cogent opposition from both researchers and classroom teachers; but the Ofsted (2017) report states that “leaders [in the schools visited] were passionate about the place of systematic synthetic phonics as part of a rich and varied reading programme” (Ofsted 2017: 21). In these schools, we are told, “systematic synthetic phonics played a critical role in teaching [reception year] children the alphabetic code,” and reception teachers passed on to year 1 teachers checks of children’s phonics knowledge (p.4). “Children read out loud frequently from carefully selected books that closely matched their phonic knowledge” (p.5). [Hobie] comes across a word – ‘going’ – and his phonics knowledge initially tells him that the word is /g/oi/ng/ – like boing … He hesitates: he has pre-existing knowledge of vocabulary and he self corrects – going. This is not a decoding skill; it is a vocabulary skill. He goes a step further. Writing the word down, he recognises a morphemic pattern – a base and a suffix – and draws a line between the two. This is a whole lot more sophisticated than implementing a decoding skill. Phonics alone would not have got him to the correct pronunciation of the word. One might add that Hobie’s pre-existing knowledge of vocabulary has a contextual element: his recognition of the word “going” strongly suggests that he knows what it means. Davis (2012) argues that the case for synthetic phonics (SP) depends on “fantasies of research-based teaching”. He claims that the case has never been made because a discrete method of teaching synthetic phonics cannot be identified and measured. Studies allegedly showing that intensive discrete SP lessons improve reading achievement in comparison with control groups of similar pupils rarely if ever indicate the exact nature of the lessons concerned (Davis 2013:16). They cannot do so, because no classroom teacher would conform to the narrow method of decoding apparently required; to do so would be to abdicate their role as teachers (Davis (2013:6). Competent teachers will always want pupils to develop “relational understanding”, where they can place their new knowledge on an existing cognitive map. For this reason, teachers will naturally view words as units of meaning rather than merely as units for grapheme-phonic decoding. Even if a teacher attempts to implement systematic synthetic phonics as recommended by the DfE, focusing children’s attention solely on “phoneme-grapheme correspondences”, her professional judgment is likely to inflect the way in which she actually interacts with children, especially in the reception class. Phonic work should be set within a broad and rich language curriculum that takes full account of developing the four interdependent strands of language: speaking, listening, reading and writing and enlarging children’s stock of words. The children enjoy listening to five high-quality books each term from Reception to Year 2 – 15 in the course of a year. Life in the nursery contains a lot of imaginative play, role-play and some practice of phonics. “Some practice of phonics” is hardly an endorsement of a monocular approach to early reading. The Department for Education’s (2011) “evidence paper”, The Importance of Phonics: Securing Confident Reading, itself states: “Phonics teaching must be embedded in a language-rich curriculum”. The one UK study regularly cited in favour of synthetic phonics (Johnston and Watson 2005) finds a correlation between children’s word reading and spelling in Primary year 7 and the quantity of children’s and adults’ books available in their home. Bold Beginnings (Ofsted 2017) also acknowledges the importance of a “rich and varied reading programme” (p.21) – but its constant line is that knowledge of phonic “decoding” must precede other kinds of reading (p.22). Davis (2012:7) has emphasised the importance of professional judgment when teaching reading in the early years. The vast majority of early years teachers, he writes, handle this challenge with professionalism, and will continue to do so if they are not troubled by rigid prescriptions from policy makers. How, then, do teachers actually work with early readers? In 2013, the National Association for the Teaching of English conducted an on-line survey of teachers’ views and practices in relation to the teaching and assessment of early reading (Hodgson et al 2013). The full results of the survey can be found at http://eprints.uwe.ac.uk/35641/. Of the 445 individuals who completed the survey, more than half taught in infant schools (Hodgson et al, 2013, p. 4). A majority of these (203, or 68.4%) claimed that phonics was a high priority in their school or department; however, a similar number (200, or 67.3%) said that their school devoted fewer than five hours a week to the teaching of phonics (p.5). Nearly all infant teachers (272, or 91.6%) used a scheme or programme to teach phonics, Letters and Sounds being the most popular scheme (p.6). No respondent to the survey regarded phonics instruction in early years education as unnecessary, and there was significant support for the view that phonics should be the prime focus of teaching beginning readers (Hodgson et al, 2013, p. 9). Several people agreed with the assertion of the DfE evidence paper (DfE 2011) that the ability to decode “grapheme/phoneme correspondences” is the first requirement for success in reading (Hodgson et al, 2013, p.10). Some respondents who worked with children with special learning difficulties believed that early phonic instruction is particularly important for the progress of such children (p.10). A majority of both infant and junior teachers reported positive effects on their pupils’ writing and spelling, and about a third of each group reported positive effects on pupils’ comprehension and higher reading skills (p.8). But the view of more than two-thirds of respondents was that, while phonic decoding is an important part of learning to read, other strategies are also vital (p.10). More than a quarter of respondents emphasised the importance of reading for meaning, and there was much concern that an overemphasis on phonics leads to an unbalanced reading curriculum in which other reading skills such as prediction and contextual information are not taken into account. In the view of many, a phonics approach leads to less able children “barking at print” while good readers lose motivation and fail to achieve appropriate assessment results. Some children, it was alleged, develop a style of “reading” that consists merely of phonic decoding. There is less time for reading stories and for listening to young readers, and more time is taken up by “teaching to the test” (the national phonics “check” at the end of year 1). In such classrooms, respondents argue, the overall quality of pupils’ literacy experience declines (Hodgson et al, 2013, p.14). More than a quarter of respondents were concerned that an over-emphasis on phonics teaching and testing failed to take into account the needs and capacities of particular children (Hodgson et al, 2013, p.10). Children for whom English is a second language require an emphasis on textual understanding; phonics approaches fail to provide visual scaffolding to support their learning and these children find it hard to progress under such a regime, which occupies the greater amount of classroom time because of the phonics “check”. Many respondents expressed concern that systematic phonics instruction creates more problems for struggling readers, as their cognitive energies are spent trying to sound out words, and they therefore miss the meaning of the text. Several commentators believed that such children need a variety of different strategies in order to progress. Many teachers observed that children of all abilities are less motivated by reading schemes than by real books, as the latter encourage reading for interest and enjoyment (p.14). A teacher of deaf children pointed out (p.11) that her pupils cannot hear phonemes; yet they go on to become fluent readers. English is not a phonetically regular language. It does not have a single letter/sound correlation. The teaching of phonics in a systematic way often, therefore, creates more problems for struggling readers. Much of their cognitive energies are spent trying to sound out words, apply phonics rules that are not applicable, and generally misdirect their focus from the true act of reading – constructing meaning. Readers construct meaning from text by employing several cuing systems. When phonics becomes the centre of reading instruction, those other cuing systems are often neglected. Children learn to read by engaging in texts that are read aloud to them, that they can read on their own and with the help of others. Over-complicating the act of reading and reading instruction fails to work. Assessments of phonemic awareness and phonics eat time, misplace instruction, and set fragile readers further behind. As professionals in teaching young children to read, assessing their progress, and making strategic interventions where required, many respondents to the NATE survey resented that their judgment and knowledge were not recognised. They were outraged not only by the simple-minded analysis of early reading offered but also by the way in which a limited pedagogical practice has been inscribed in the school curriculum, backed by the authority of the school inspectorate, and made subject to nationally imposed testing. Some pointed out that a single approach to the teaching of reading has commercial advantages for publishers who follow the official line. Many challenged the imposition of an expensive, time-consuming and disruptive “phonics check” on year 1 pupils. Taking a wider view, some respondents pointed out that phonics instruction is not an answer to all social ills, and suggested that those in power see it as a remedy for the deficiencies of other people’s children. As Davis (2013:6) has pointed out, competent teachers of early readers will not impose a rigid and inappropriate reading method on actual children. Reading at any level involves a complex set of skills of which phonic awareness is one important element. The responses to the NATE survey demonstrate that most teachers of reading know this, and reject the specious argument that “systematic synthetic phonics” offers a panacea. Ofsted would gain respect from such teachers if it were to recognise the full nature of meaningful reading in the reception classroom. Davis, A. (2012) A monstrous regimen of Synthetic Phonics: fantasies of research-based teaching ‘methods’ versus real teaching. Journal of Philosophy of Education 46 (4), pp.560-573. Davis, A. (2013) To read or not to read: decoding Synthetic Phonics. Impact 20. London: Philosophy of Education Society of Great Britain. DfE (2011) The Importance of Phonics: Securing Confident Reading. London: Department for Education. Johnston, R. and Watson, J. (2005) The Effects of Synthetic Phonics Teaching on Reading and Spelling Attainment: a Seven Year Longitudinal Study. http://www.scotland.gov.uk/library5/education/sptrs.pdf (accessed 3 January 2016). Kidd, D. (2013) Phlipping Phonics. Love Learning. http://bit.ly/H1y74P (accessed 15 October 2013). Ofsted (2010) Reading by six: how the best schools do it. London: Office for Standards in Education. Port, Robert F. (2011) Phones and phonemes are conceptual blends, not cognitive letters. Accepted for presentation at the Cognitive Science Soc. Annual Meeting, July, 2011, Boston. Rose, J. (2006) Independent Review of the Teaching of Early Reading: Final Report. London: Department for Education. Venturi, R., Scott Brown, D. & Izenour, S. (1972) Learning from Las Vegas. Cambridge, Mass. : MIT Press. 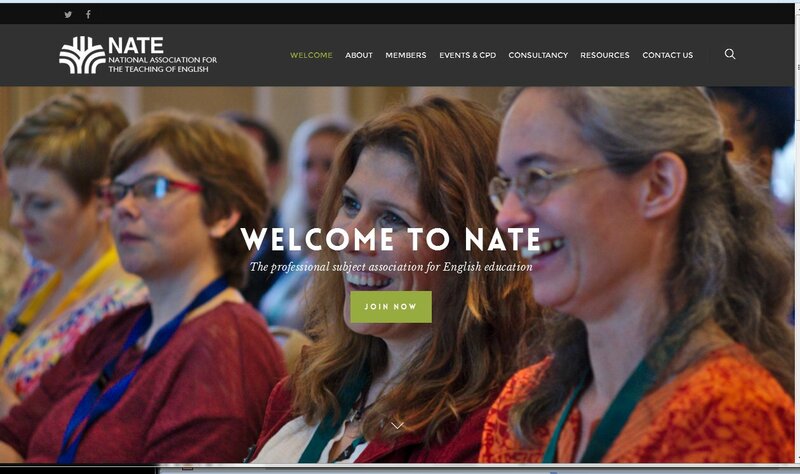 More than 40 international teachers and researchers attended the relaunch of English in Education under its new publisher at the June NATE/IFTE conference in Birmingham. The relaunched journal will be a hub of quality research, opinion and creative writing by and for the whole English subject community. It will appear four times a year from 2020: this will allow us to produce more special issues on topical and emerging concerns. The Editorial Board feel that such matters as the nature of subject English, English and multilingualism, and social media and English education are among current issues that demand attention. We welcome your suggestions for other topics and your contributions: the autumn issue will include Calls for Papers for Autumn 2019, Newbolt and the Construction of Subject English, and Spring 2020, Multilingualism and English Education. The Spring 2019 issue on Writing, edited by Jeni Smith and Mari Cruice, is in preparation. It will present research into the practice and teaching of writing and demonstrate the creativity that is released amongst both teachers and students when writing is nurtured in the classroom to augment personal and social meaning, and indeed pleasure. The initiative of the previous editor, Sue Dymoke, who instituted a regular “place for poetry”, established a deep connection in the journal between creativity and English education; this forthcoming special issue, edited by members of NATE’s UK National Writing Project, will develop this connection in exciting ways. Recent debate on Twitter has suggested that the journal’s academic style and long lead-in times are unwelcoming. We make no apology for insisting on quality reflection and research, but writing for the journal need not involve a long academic haul of interminable peer reviews. The Editor is happy to discuss your proposed paper before submission, and to comment on a draft if that is helpful. Formal submission can be made via the EIE website at https://mc.manuscriptcentral.com/eie. You will be invited to create an account if you don’t already have one. If you are submitting a research paper, this should normally comprise between 4000 and 6000 words including references, although this requirement is flexible to allow for differing topics and approaches. Please add an abstract of about 150 words; figures, illustrations and other visual material are welcome. Poetry is not for kids. They might decide to write it! – while Stewart Manley, a lecturer in Trust Law, shows that students’ and teachers’ “home-made poetry” can aid learning of other disciplines and increase authenticity in the classroom. Books reviewed in this issue include Melanie Shoffner’s exploration of the representation of teachers in fiction and film, appraised by Ann Harris, and two edited collections on the teaching of literature that, in the words of Victoria Elliott, posit English as a conversation between students, texts and teachers – albeit not an unproblematic conversation, given its current social and political contexts. Your response to our plans for the journal is welcome, as are ideas and contributions for future issues. Please contact me at the address below. Jo Carrington’s poem ‘Let the learning begin’ strikes the keynote for the summer issue of English in Education. The poem parodies the insistent interventions of a teacher who tries to improve a student’s performance as a writer of poetry. The student is desperate to speak their voice against the directed ‘improvements’ that will gain marks. The emphasis is on instruction rather than dialogue. Performativity is the zeitgeist. Owing to the assessment imperative that overhangs virtually all teaching and learning acts, the contemporary classroom has become a crucible of performativity. This educational paradigm differs fundamentally from that of fifty years ago, as recorded in the early issues of the journal. Simon Gibbons’ English and its Teachers, reviewed in this issue by Sue Dymoke, charts the history of English teaching over the last half-century. Valerie Coultas reflects on those pioneering days and their assertion of the importance of classroom talk and of the ‘power of the personal’ in teaching English. She demonstrates ways in which learners’ experience and expression have been valued for themselves as well as for their value as preparation for literary and academic writing. Furzeen Ahmed’s linguistic ethnographic study shows how students in an ethnically diverse East Midlands (UK) school used classroom talk and short story writing to interpret a literary text (Romeo and Juliet) that came from what was for many a different cultural and temporal space. Linda Enow and Andy Goodwyn’s paper confronts the difficulty of analysing the expertise of the English teacher. What appears as the spontaneous performance of the expert teacher depends on a long and continuous process of reflective development that can be understood and used to share and develop expertise. Clare Chambers considers the teaching of ‘comprehension’ and ‘knowledge of the world’. Learning about the world, she argues, is a social process, and teachers could develop learning opportunities from children’s everyday literacies, reframing ‘comprehension’ to connect their students with multiple texts and diverse forms of knowledge. Rebecca Lefroy took year seven (aged 11-12) students to an art museum in order to develop their understanding of symbolism, narrative perspective and style. They enjoyed the opportunity to develop their interpretations: in the words of one, ‘We weren’t just told things like in the classroom’. Gail Loane’s Developing Young Writers in the Classroom: I’ve got something to say argues that the writing of non-fiction, principally the personal and the immediate, is the foundation for all writing. Jeni Smith’s review suggests how children can develop as writers beyond the performativity of the classroom. Members of NATE can access the English in Education website and receive printed copies of the journal. For more information and to join NATE, see links to the right. Without a reader there is no text, without a text no reader. Hall, G. (2009) “Texts, Readers – and Real Readers.” Language and Literature 18 (3): 333–339. There is a long-standing tradition of reader response theories in English education. In reader-oriented work, the reader is viewed as an active participant in the interpretative process, drawing on and shaping different forms of knowledge that can be shared and developed. 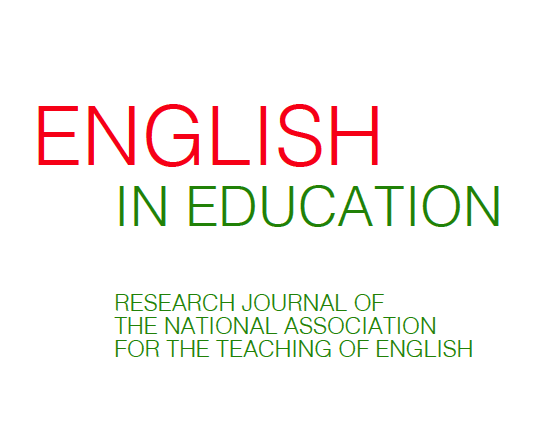 The articles in the spring 2018 special issue of English in Education variously examine the influence of teachers, peers, culture and the learning environment itself on readers’ responses, drawing on various theoretical stances and methodologies concerned with how texts are framed and experienced in the classroom context. Using empirical data including lesson transcripts and student work and drawing on the cognitive discourse grammar Text World Theory, Ian Cushing argues for a classroom space and activities which properly legitimise students’ own responses to literature. His research demonstrates how a text-worlds approach may encourage and support students to develop more confident and independent readings. By comparing two case studies involving the teaching of Yeats’ poem “Easter, 1916” in separate contexts (England and Northern Ireland), John Gordon shows how teachers and students need to negotiate the various kinds of knowledge that are needed to access the poem. Gordon argues that a reading pedagogy founded on the principles of the self-contained unseen is problematic and instead urges practitioners to consider the complex nature, function and role of different kinds of knowledge in the literature classroom. Margaret Merga, Michelle McRae and Leonie Rutherford broaden the focus to analyse motivation through an examination of the attitudes of young people towards reading. Their study suggests a number of reasons why young people see discussing reading as both enjoyable and beneficial and further reports on some of the constraining factors that participants raised as barriers to motivation. The authors end with a specific set of implications for their findings for educators in supporting students to value reading. Jane Coles and Theo Bryer’s article draws on Rosenblatt’s transactional theory in a study of beginning secondary teachers working with the Old English poem Beowulf. The poem has a history of being reworked and adapted and therefore provides fertile ground for pedagogical practices that offer opportunities for cross-generic transformations. Through their discussion, the authors highlight the creative and critical practices inherent in such transformational work as well as highlighting the importance of students’ knowledge as part of the “literary transaction”. Margaret Glover surveys ways in which researchers have theorised interpretation and the reading process – from New Criticism and structuralism to Michael Benton’s work on reading and secondary worlds, to Stanley Fish and Aidan Chambers on narrative comprehension and Jonathan Culler on literary competence. Ending with a discussion of the work of Louise Rosenblatt and Wolfgang Iser, Glover demonstrates that there is much to be gained by a teacher’s directly addressing the relationship between author, text and reader in the classroom. The articles in this special issue remind us of the richness of the literature classroom, the wealth of knowledge and attitudes young people bring to reading, and the various ways that teachers can support rather than stultify personal response and interpretation.